Dr. Cheng H. Tai always appreciates feedback from his valued patients. To date, we’re thrilled to have collected 20 reviews with an average rating of 4.95 out of 5 stars. Please read what others are saying about Dr. Cheng Tai below, and as always, we would love to collect your feedback. I’m a long time patient of Dr. Tai. Now retired, I continue to commute into Manhattan from Westchester to see him for my dental care. He is a careful practitioner in his profession. He is a gentleman and it is always a pleasure to visit. 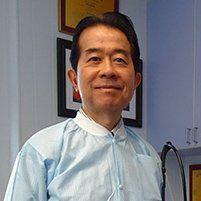 I have been seeing Dr. Tai for many years, it is always a "top shelf" experience. Highly recommended. Dr Tai is very precise and patient. I came in to get my filling replaced (it was a silver filling that had been deteriorating for over 10 years), and he drilled out exactly the right amount. Afterwards, he showed me the new filling and it looked flawless - better than any cavity filling I’ve ever had before. After moving relocating to NYC from San Francisco where I had a great dentist, it was great to learn from trusted colleagues about Dr. Tai. (This was after a round of disappointing visits to other dentists in NY metro). I always know I am receiving the best care when I am in his hands. Dr. Tai is a wise and thorough practitioner of his profession. Recommended to me by a colleague several years ago, I continue to commute into Manhattan from Westchester in my retirement to see him, knowing I'm in good hands medically and in the good company of a knowledgeable and very fine human being. Dr. Tai is exceptional dentist: professional, informative, thorough, gentle with excellent skills. Can't thanks enough !!! Highly recommend !!! In an emergency situation Dr. Cheng Tai gave me an appointment within one hour. The work of Dr. Tai and his assistant, actually his son studying to become a dentist, was characterized by a high level of expertice and efficiency, and the service was excellent. A very good experience. Great service, very professional and informative. Dr. Tai always takes wonderful care of me! I have had a lot of dental issues through the years, and Dr. Tai has helped get my teeth in the best shape they've ever been. I would highly recommend him as a dentist. Excellent to have a Taiwanese dentist! Dr. Tai and staff are always great to see. They are professional, courteous and friendly. Dr Tai is an excellent dentist and easy to work with. All of my treatments from cavities to crowns have been expertly handled. I have been going to him for 20 years. They take my insurance and he is up to date on current dental advances. There has never been a reason for me to go anywhere else. Dr. Chang Tai is professional, informative, thorough dentist. I have excellent experience and highly recommend him. Dr. Tai is the most thoughtful, careful, intelligent and professional dentist I have had over a long life. He is an excellent communicator, and has a very gentle hand, whether it is a simple cleaning of more challenging procedures. You really won'f find a better dentist! It’s always a pleasure to have an office visit with Dr Tai and his staff. I’m always given good information. Dr. Tai did an excellent job. Thank you. Dr Tai is by far and away one of the most thorough dentists I have ever visited. I highly recommend him.